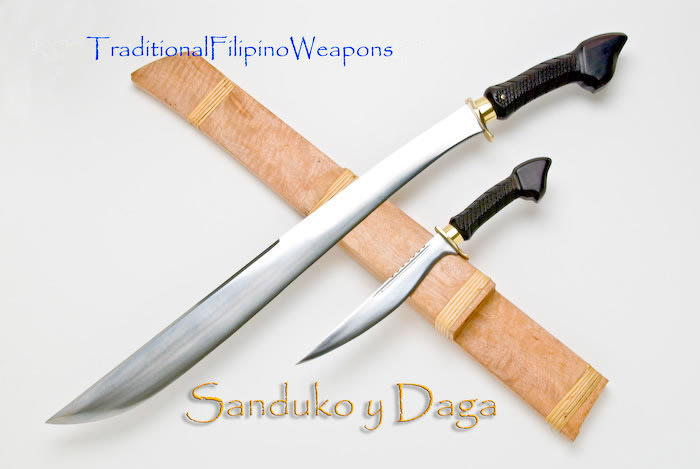 The Sanduko is a top heavy blade that was brought to the Philippines by the early settlers from Indonesia. Used mainly for farming, trimming tree branches, and dressing animals for feast, the small dagger that goes with it serves as the cutter for things that the long blade cannot accomplish easily such as peeling fruits, sharpening stick tips, and cutting the meat into small pieces. When the revolution called upon the Filipinos, these combinations of farming tools became very deadly weapons for resistance. Sword Blade Length: 19.50" - Sword Overall Length: 26.25"
"The blades ( Bolos) of different design distributed by Traditional Filipino Weapons, are genuinely designed as purely combat blades made by experts from Bontoc Province in the Far north of Luzon whose family belongs to one of the 8th tribes existing in the Cordilleras today. 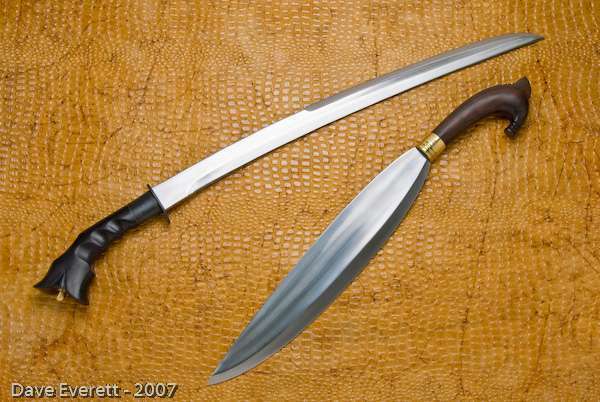 The design are expertly patterned in the traditional archives of Bolos stored into the natives blade making system now open for the first time by the Forondo families with the purpose to present the Blade culture of the Filipinos as real including the Fighting system of Pekiti-Tirsia inseparably works together in the field of real combat." I highly recommend you subscribe to the original Filipino bolos for reality and long lasting memory." "These are definitely the best quality blades that I have seen on the market today. These blade makers in the Philippines do excellent work. I will definitely let people know about these weapons." 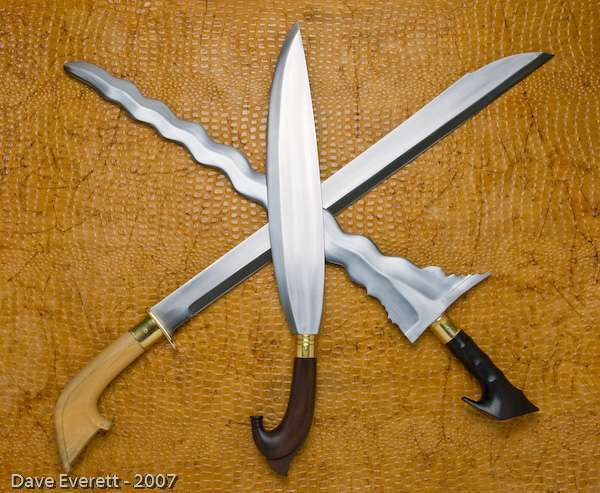 The Scar Family is Proud to Offer These Traditional Filipino Weapons. There are only three places on earth to buy these swords. FOR ADULT USE ONLY. ALL WEAPONS ARE INTENDED FOR DEMONSTRATION OR DECORATIVE PURPOSES ONLY. IF USED FOR DEMONSTRATION OR TRAINING, EXPERT CARE AND SUPERVISION SHOULD BE EXERCISED. UNSHARPENED WEAPONS CAN STILL CAUSE SERIOUS INJURY OR DEATH IF MISUSED. PURCHASER ACCEPTS ALL LIABILITY FOR THERE USE. VIEW OUR HOME PAGE FOR ADDITIONAL DISCLAIMERS.